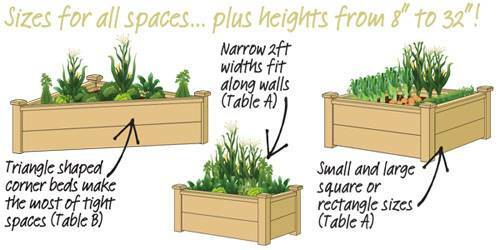 To help you price up and make the most of your raised beds - and more importantly enjoy growing in them - we've compiled a list of factors to consider when choosing, siting and filling your beds. Raised beds can be placed directly on soil, lawn or paving and can be filled directly - but not exclusively, see below - with a fertile, organic rich, light & friable topsoil/compost such as the vegetable and fruit topsoil we supply via our partnership with Rolawn. 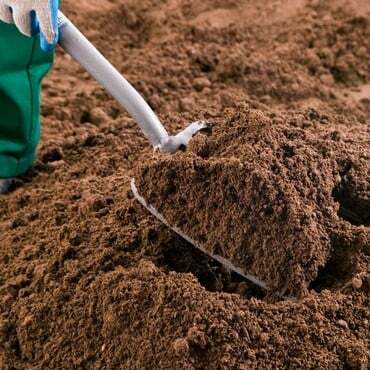 For the best growing results, we'd advise you to fill your beds with 75% topsoil and use a bulky organic matter - such as farmyard manure or home-made compost - to make up the other 25%. 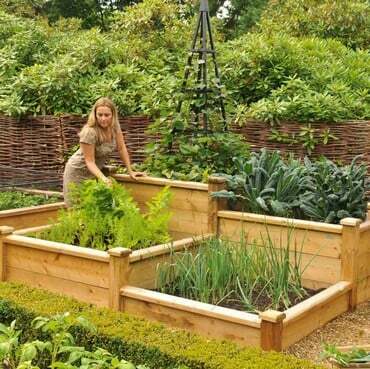 One of the benefits of a raised bed is the fact you can tailor your growing medium to the plants you would like to grow. For example you can use ericaceous compost for acid loving plants or you may want to grow carrots in a sandy soil. If you want to improve the drainage of your bed you can add a layer of gravel approximately 5cm / 2” deep at the base, but note that the level of drainage will be dictated mainly by the ground that the bed is sitting on. If for example the bed is sitting on a free draining sandy soil you may want to lay down a semi-permeable ground sheet beneath the bed to reduce the drainage. We'd also advise you to use one of our specially designed Raised Bed Liners when positioning your bed on a patio, concrete or other hardstanding area. Not only will these thick, one piece, non-woven polypropylene fabric liners protect the timber frame of the bed even further but they will cut down on the leaching of sand and other fine soil particles - and they make emptying a bed much easier at the end of the season too! We've also produced a quick guide to the depth of bed you'll need to grow favourite Kitchen Garden crops. This list is by no means definitive but if you're unsure of how many tiers to go for, the over-riding advice is to go deeper - this gives you the flexibility to grow a wider variation of vegetables in the future and also helps with crop rotation. If you’d like further information on the Harrod Raised Vegetable Beds, or would like to discuss any feature of this product, please call our Customer Services Department on 0333 400 6400 (local rate) or e-mail us at enquiries@harrod.uk.com – we’d be delighted to help!